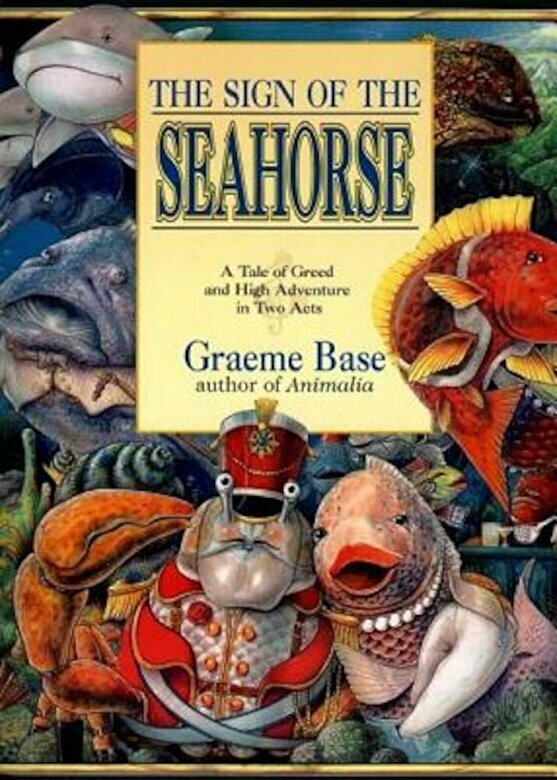 Prezentare Romance, mystery and intrigue revolve around the Seahorse Cafe, where the beautiful Pearl Trout falls in love with Corporal Bert the Soldiercrab. But Reeftown is in danger, and soon Pearl, Bert, and Pearl's brother Finneus must journey through the ocean depths to find the source of the deadly poison that is destroying the coral reef. ``Graeme Base's witty rhymes and dynamic, radiantly colored illustrations, should keep both reader and audience immensely entertained.``--Publishers Weekly.